Completing ACCA skills level can earn you advanced diploma in Accounting and Business. The advanced diploma will help you to prove your credentials to a prospective employer and help you to kick start your career. 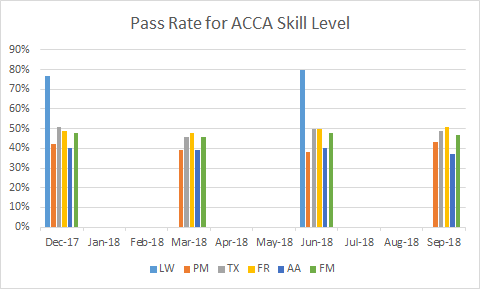 ACCA Skill level consists of six modules: Corporate and Business Law (LW), Performance Management (PM), Taxation (TX), Financial Reporting (FR), Audit and Assurance (AA), Financial Management (FM). Given its comprehensive coverage completing skills level opens up wide range of job opportunities especially in MNC organizations who have long association with ACCA. This paper enables you to understand the wider legal framework and introduces specific legal issues relating to business. This level also trains you to identify situations where specialist legal advice must be sought. The objective of this paper is to polish your skills in management accounting techniques. This level teaches you to apply your knowledge to quantitative and qualitative data to empower you to undertake planning, decision-making, and evaluating performance. Learn the nuances of the business taxation system and its effect on individuals, companies, and groups of businesses. This module helps you to grasp accounting standards and financial reporting. This paper also introduces you to the theoretical principles that form the basis of the financial statements. This paper uses the knowledge and competencies used by financial managers in fields such as financing, investment, and dividend policy decision-making. This paper intends to impart lessons on the actual tasks handled by the financial manager and the various management techniques to be applied in the real world scenario. Must be a commerce graduate or should have cleared knowledge level or both groups of IPCC. (100 marks contributing to the student result, and 10 marks of seeded questions which do not contribute towards the student’s result). Students receive the Advanced Diploma in Accounting and Business when they have successfully completed (either passed or exempt) the Applied Skills exams.You also need to complete The Ethics and Professional Skills module (or if previously completed the Professional Ethics module).